I’m looking back through photos for stories to share. We spent a great deal of time in September walking each day. We have the freedom to wander the neighboring fields. We know that once ‘the rains’ come, that our time in the Big Creek would be cut off. 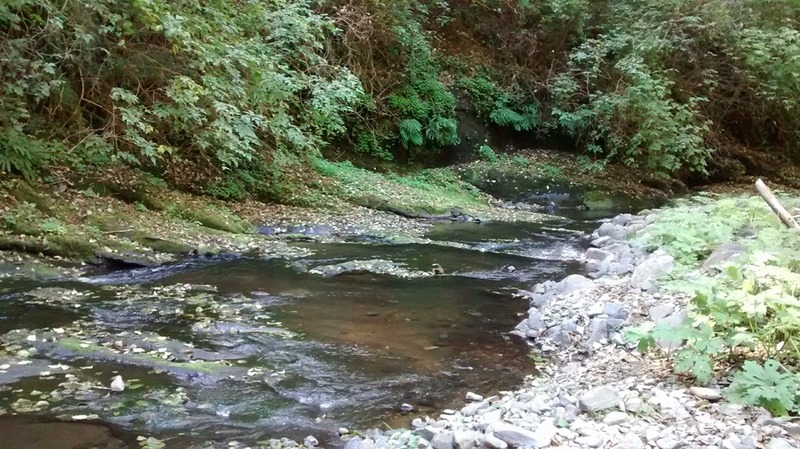 In the summer, most areas are ankle deep and gently turning. After the first big rain, the Big Creeks floods its banks and turns cold. Don’t get me wrong – It’s cold in September also. But the kids don’t mind. The hole below is called Atlantis. 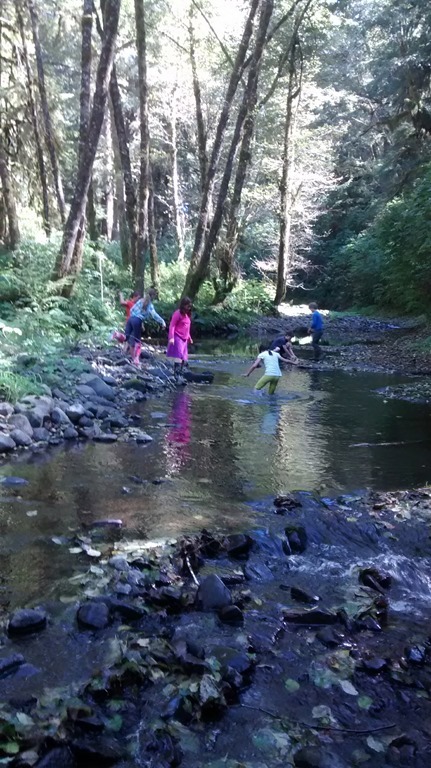 The first year I worked at the school I held a creek exploration day camp. We walked to Atlantis on the last day of camp. On the way home, we walked through the fields to the school. 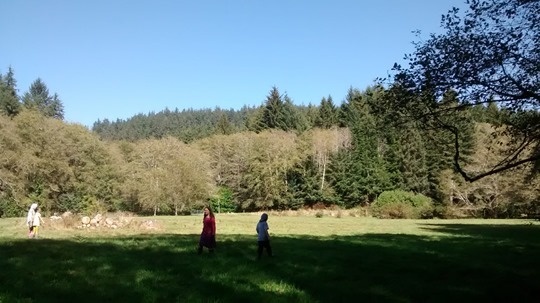 We learned that what took an entire day to wander through the creek, took about 4 minutes to walk directly across the field. . . . It sort of took the thrill of the big hike away – but – it also opened up Atlantis as a quick excursion on any day. Now we have gone twice as far as Atlantis and have become familiar with many species of plants and animals along the way. We’ve started the year long studies to mark a place, a tree, a rock bed, etc. We walk with our nature journals to write what we hear, see, and feel. I love it that the first day we did this study that many students wrote freely about how they felt, when I meant for them to write about what they touched. They touched my heart. And continue to. 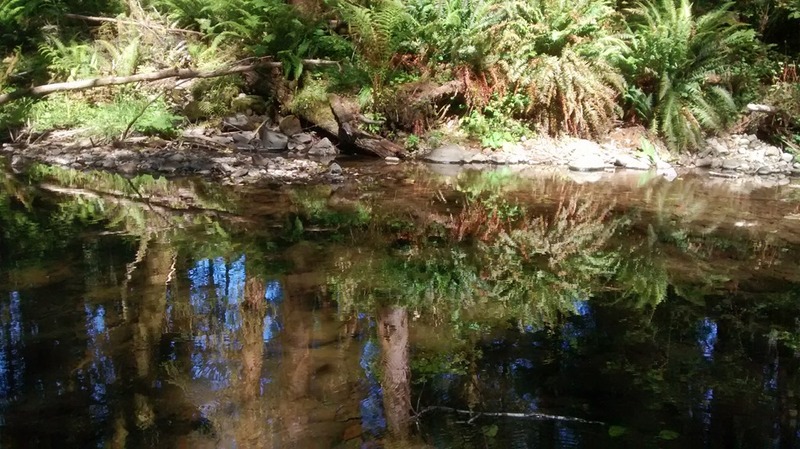 This entry was posted in Outoor Hour Challenge, Some Schooling and tagged creek, Handbook of Nature Study, HSBlogger, Outdoor Hour Challenge, river, stream, year long study. Bookmark the permalink. VERY INTERESTING. I WAS THINKING AS I READ I WOULD LOVE TO HAVE BEEN ALONG.